As a Texas medical doctor and Actos Bladder Cancer Attorney I am providing this information and commentary. The maker of the world’s best-selling diabetes drug is facing many lawsuits as adverse medical research shows that taking the pill for more than a year raises the risk of bladder cancer. In June, Takeda Pharmaceuticals Co. Ltd. halted sales of Actos, in Germany and France after pressure from government health regulators. 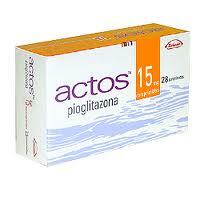 Actos (pioglitazone) is a medication manufactured and sold by Takeda Pharmaceuticals for treatment of Type 2 diabetes. The drug is part of the same class of medications as Avandia (rosiglitazone), which has been linked to an increased risk of heart problems. As a result of concerns about Avandia side effects, sales of Actos have grown substantially in recent years. The U.S. Food and Drug Administration and the European Medicines Agency have issued warnings about the cancer risk based on new research. The FDA has approved updated label information for pioglitazone (Actos) and medications that contain it, following its warning in June about bladder cancer risk with the drug. The FDA new labeling, released Friday, warns that use of pioglitazone for more than a year may increase the risk of bladder cancer, a finding based on an interim analysis of an epidemiological study. Actos, despite other serious side effects, became the No. 1 diabetes pill after Avandia, the only other drug in that class, was found in 2007 to greatly increase risk of heart attacks. Avandia’s use was banned in the Eurpoean Union and sharply restricted here. Recently lawsuits were filed in courts across the country. They allege Actos triggered bladder cancer, in some cases deadly, in patients who took the pills daily for years. The claims allege that when a manufacturer distributes a drug, they owe it to the public to ensure that their product is safe for use and it appears that Takeda Pharmaceuticals failed to fulfill that fundamental duty. The FDA analyzed data from the first five years of a 10-year Actos safety study Takeda begun in 2002 and concluded this June that risk of bladder cancer was 40 percent higher for patients taking Actos for at least a year.